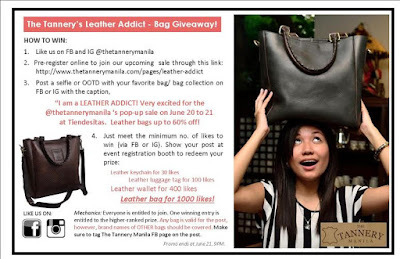 Have you heard about the "The Tannery Manila"? A 100% home-grown brand, which specializes in the manufacturing of leather materials and leather goods. They are not just bag makers, but also experts in leather being in the industry since 1901. They are committed in catering to both product and quality service. The Tannery offers product warranty and made-to-order services for individuals who are looking to personalize, who have specific requirements, or who like to materialize a particular design in mind. 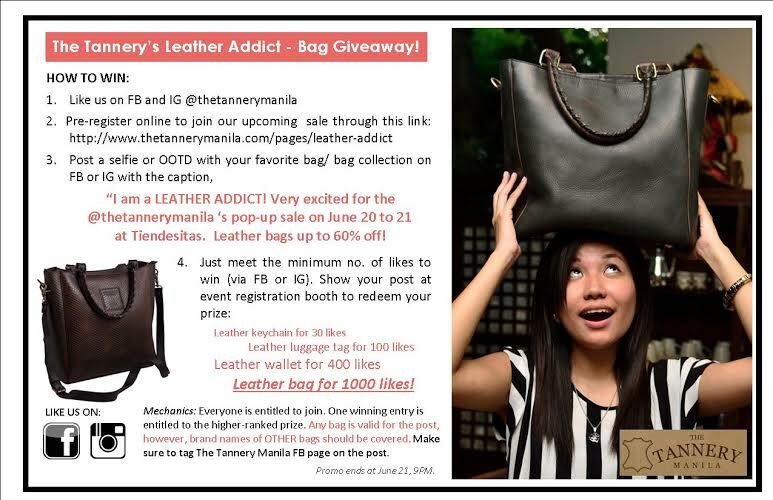 The Tannery Manila lets you turn your idea into a reality! 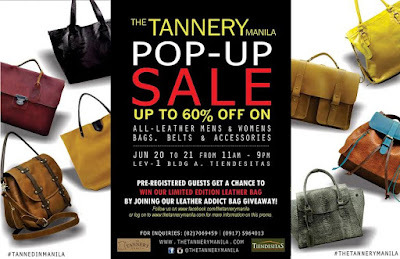 If you want to check the best selection of leathergoods, visit their website at www.thetannerymanila.com or drop by their store at 2nd Floor, Building A, Tiendesitas Pasig. Get updates on this event by joining on facebook https://www.facebook.com/events/1576533922611891/. Log in to www.thetannerymanila.com to pre-register online.